The Village of Westmont, Illinois is located 18 miles west of Chicago. It has a population of 24,941 residents and is 5.03 square miles in area. Westmont borders the Village of Oak Brook on the north, Village of Clarendon Hills on the east, the City of Darien on the south, and the Village of Downers Grove on the west. Other neighboring communities include Burr Ridge; Lemont; Willowbrook; Hinsdale and Woodridge. Notable people from Westmont include Chicago blues musician Muddy Waters, and Ty Warner, inventor of the Beanie Babies. Interstate 294 to the East and Interstate 355 to the West. In 2015, the median sales price of a single-family home in Westmont was $273,600. According to Trulia, Westmont market trends indicate an increase of $16,500 (8%) in median home sales over the past year. The average median household income in Westmont is $57,547. For additional information on the Westmont Real Estate Market, contact a Real Estate Broker at Wenzel Select Properties. Call (630) 430-4790. If you are interested in purchasing a home, townhome or rental property in Westmont, we invite to visit our property search page. There are six school districts that serve the Village of Westmont. Elementary District 58 includes El Sierra Elementary, Fairmont Elementary, Kingsley Elementary, Lester Elementary, Herrick Middle School and O’Neill Middle School. Maercker District 60 includes Holmes Elementary, Maercker Elementary and Westview Hills Middle School. Elementary District 61 includes Mark DeLay School (K-2), Lace School (3-5) and Eisenhower Jr. High School. Community Unit School District 201 includes Manning Elementary, Miller Elementary, Westmont Jr. High School, and Westmont High School. The two High School Districts that serve Westmont are District 86 and 99. District 86 includes Hinsdale Central High School and Hinsdale South High School. District 99 includes Downers Grove North and Downers Grove South. The Westmont Public Library was started in 1925 when Everett Lincoln Meservey asked residents to pay 25 cents per month to support a library. On January 27, 1993, a new 28,000 square foot building opened to the public. In 2008, the remodeled Children’s Reading Garden was unveiled featuring picture books, updated furniture and new computers for young children. The Westmont Public Library provides the community with the keys to life-long learning. 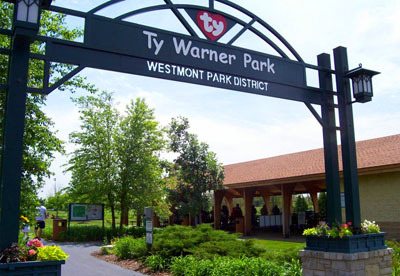 The Westmont Park District maintains over 150 acres of park property throughout the village. They have more than 20 parks and open play spaces. Recreational activities are scheduled throughout the year. There are activities for every age group from toddlers to senior citizens.